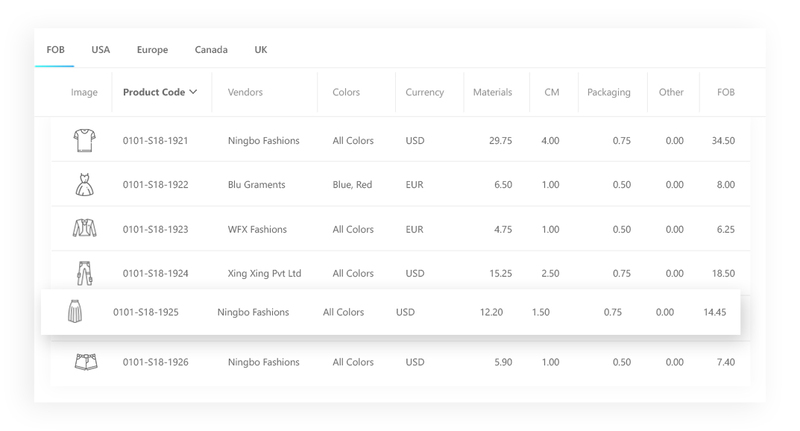 WFX Web PLM (Product Lifecycle Management) software is an end-to-end product lifecycle software for fashion, apparel, footwear, accessories and consumer goods industries. 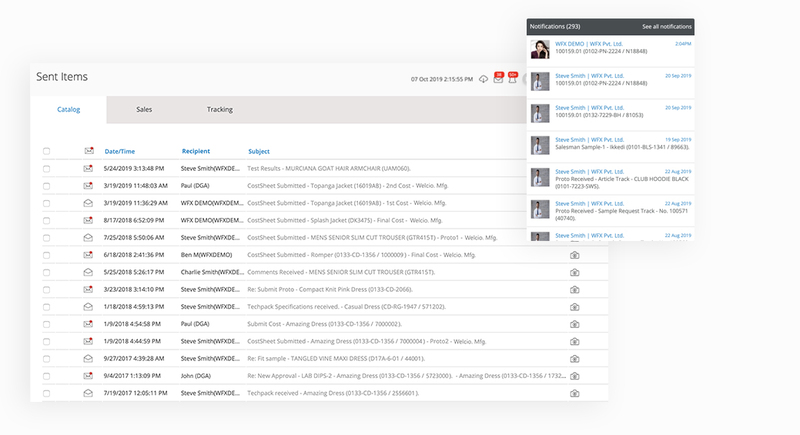 WFX fashion PLM centralizes product information and links the entire product lifecycle; from sourcing and product development through approvals and production - triggering alerts and tracking progress along the way. WFX apparel PLM software streamlines production, connects global offices & departments including design, merchandising, planning, production and sourcing. 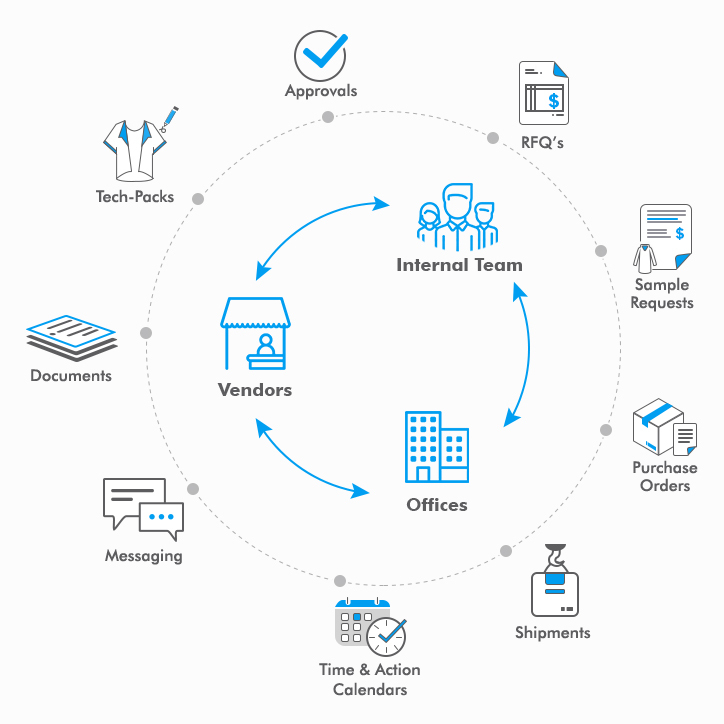 WFX Web PLM software for fashion is a product life cycle management software that enables easy collaboration among internal teams and vendors keeping everybody on the same page and working on a common platform. WFX apparel PLM has inbuilt tools to share information with global offices, internal departments and vendors in real time. 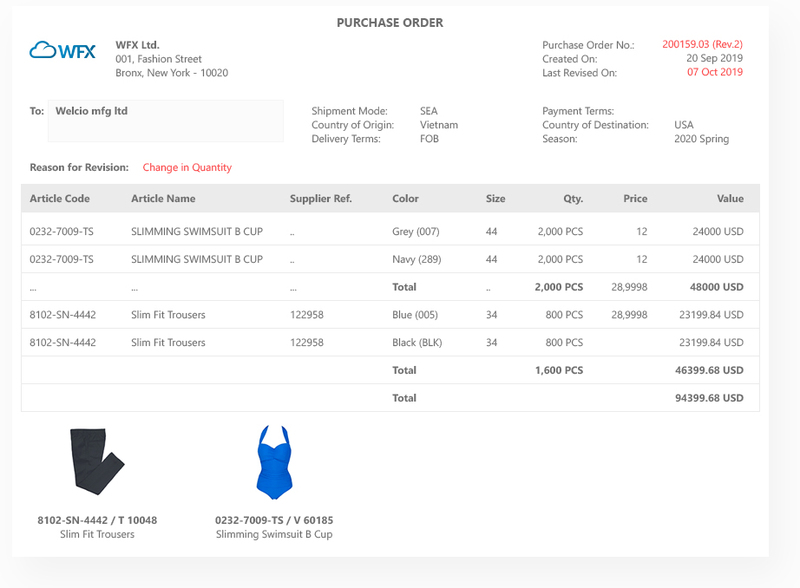 Share techpacks, costings, RQFs, Sample Requests, Purchase Orders and collaborate on-line with WFX fashion PLM. WFX PLM software for apparel helps reduce lead times through instant visibility across the supply-chain. 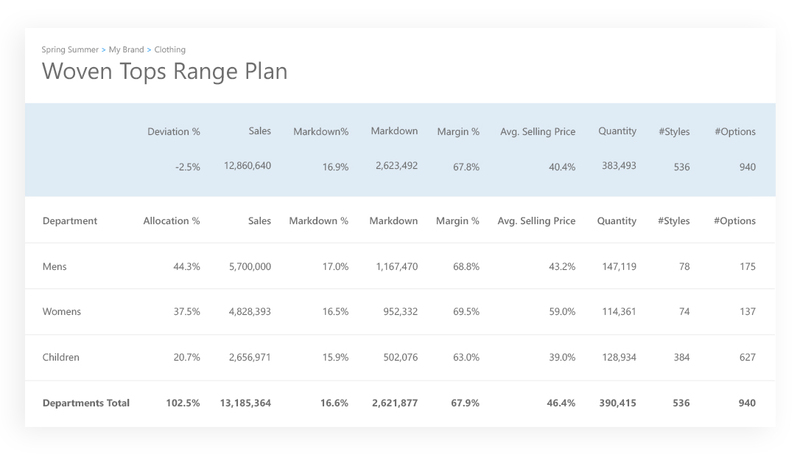 Plan collections across divisions, brands, product categories down to specific styles with WFX PLM Software for Apparel. Define cost targets & quantities and monitor against actuals. Request samples from multiple fashion vendors and track progress. Get access to shipping information with Apparel PLM. Request private quotes from multiple vendors with WFX Apparel PLM. Compare, negotiate and confirm costs. 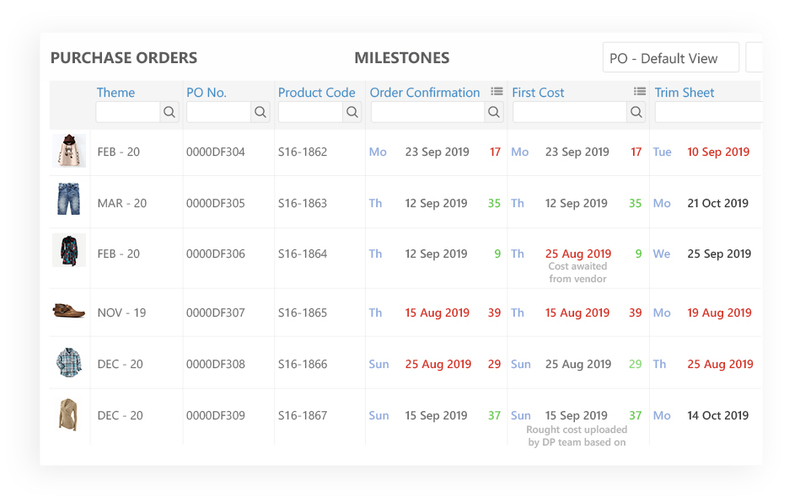 Track Purchase Orders and Production updates. Share Purchase Orders instantly with internal & external teams through WFX PLM Software. Integrate POs with 3rd party ERP systems. Track milestones and highlight delays with Integrated Time & Action tools. Monitor and track sourcing activities. 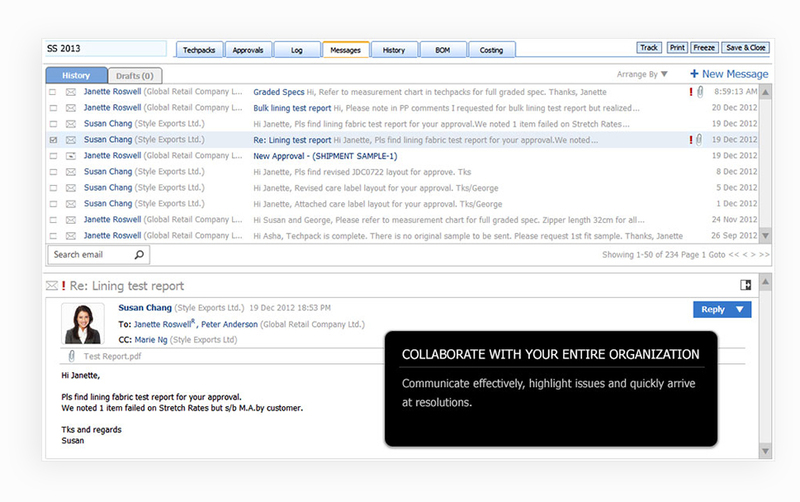 Gain visibility throughout the product’s lifecycle for accurate and timely decision-making. - all in one threaded dialogue with WFX PLM Apparel software. 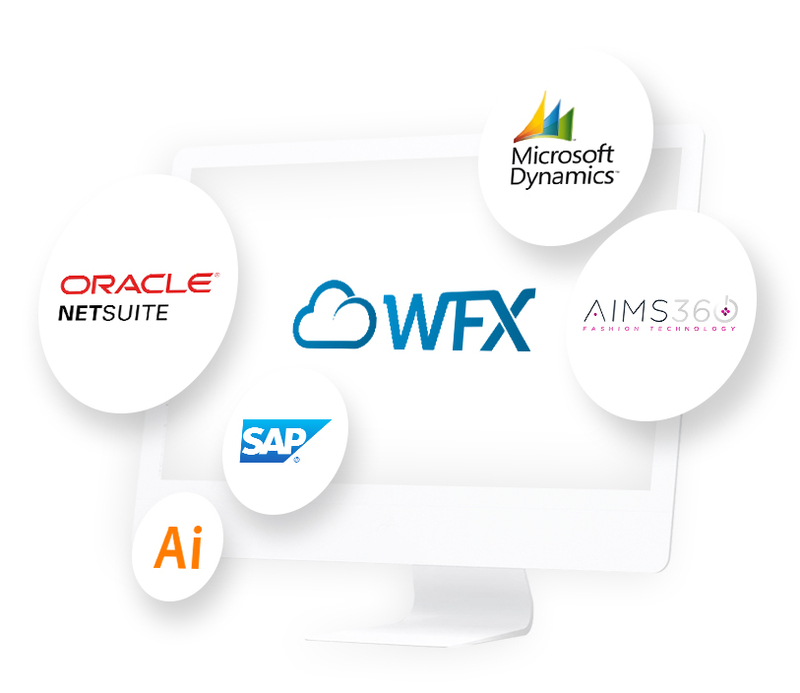 WFX Apparel PLM integration tool kit allows for easy integration. Select from multiple interface methods and set auto-scheduled routines. Connect with NetSuite or any 3rd party ERP software including in-house systems. 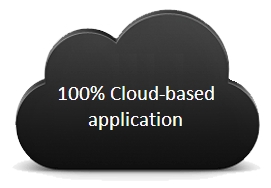 Centralized Database of Product Information - Updated information anytime, anywhere with WFX Cloud PLM software. RFQ's (Request for Quote) - Send Request for Quotes to customers and vendors online through WFX PLM software.